Feel free to forward this newsletter to people or organizations who you feel might be interested in our work or whose enthusiasm, ideas or skills could support us. You are free to include items from the newsletter in your newsletter, email updates, website, blog etc – just leave a link to our website. Have a look at what we are working on with our friends and support local projects, attend events, bring your friends and families and volunteer. Good crowd at the February potluck, we popped the cork to celebrate the funding awarded to Trust Links and partners and enjoyed homemade pizza. Dates: 10th March 12:00-15:00, 7th April, 5th May 13:00 to 15:00. Suggested donation £2 to go towards costs of the venue and support the work of Trust Links. Southend East Community Allotment – Southend in Transition and Organic Gardeners? There are some free plots at the Southend East Allotment’s site and it looks like there is energy in our circles to take on a plot and collectively work it. We are thinking of having a core group people working it once per week/month and the plot open then to local volunteers and the wider public as a productive, educational, inspirational and social space to learn about sustainable ways of growing, value of fresh food and just to be out in the fresh air together. Still at the stage of research (working with the organic gardeners, chatting with SEWEN about their plot, public liability insurance, structure of the working group and the right processes to help run it smoothly etc etc.) we will be visiting this Sunday at 10 to chose the plot. If you are interested to be in the working group or volunteer here and there or just wanted to visit when it is up and running let me know. aka Food Swap 10.00-12.00 in Metal’s Kitchen Garden, Chalkwell Park, Westcliff-on-Sea, Essex, look out for the next one. Possibly 1st Sunday of the month, but check the website nearer the time. Let us know of any events or projects to add to the map. The start of a Google map by Laura, thank you. Share your experience and thoughts and inspire others. If you need online space to tell the world about your project or would like to write a regular post about your personal efforts to Transition your life let us know. 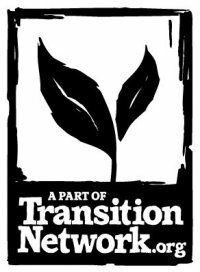 The website www.SouthendinTransition.org.uk receives a good number of daily visits and attention so let me know if you are interested. See a couple of posts by James ie. Enter the Oyster and the newest one Oy Oy! Use an energy saving monitor in your home so you can keep track of how much energy you use each day. It free to hire from Southend library ! The project will be closing but if a group wanted to continue the Free Shops get in touch with Paul to discuss. Our speakers start at 8.00pm, but Growing Together will be open from 7.00pm to allow members to browse our Library, etc. and at 7:30 the new “Growing Questions and Answers” session. 24th March – Grow it yourself organic course start, Farmers Markets 2012 and Grow your Own seminars in April, check out the SEEOG newsletter. SEEOG coach outing on Saturday 9 June is to Capel Manor Gardens (Enfield), combined with Forty Hall Farm, an organic farm run by Capel Manor College – further details later. There will be pick-up points arranged, the first one being at 8.15am from Kirbys Depot, Rayleigh. The content of the newsletter can be be generated by you, the community members and compiled by the Steering Group. Any news about activities, updates and forthcoming events should be sent to kamilpac@gmail.com for inclusion in the next newsletter and I will try to incorporate them as time allows. We respect your privacy. You can unsubscribe anytime by replying to this email with UNSUBSCRIBE in the Subject field. We won’t share your details with any other organization and we respect your time and attention by controlling the frequency of our mailings.